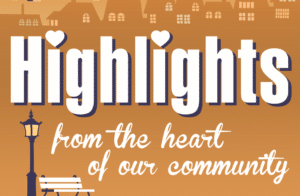 The show airing October 22, 2018 – October 29, 2018 ‘highlights’ the Fellowship of Christian Athletes & Childhood Language Center. We interviewed Keith Tyler, State Director, FCA of WV and Joey Holland, Chair of FCA Sports Memorabilia Auction. Keith gave us an overview of FCA, which exists to help students grow in and share their faith in Christ. They long to see lives and campuses changed because of the power of the gospel in the lives of these young people. To raise necessary funds they have fundraisers throughout the year. 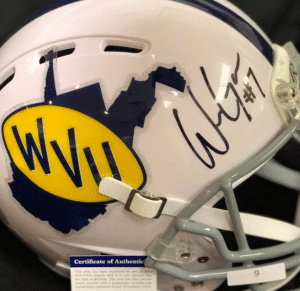 The 18th Annual Sports Memorabilia Auction to benefit the FCA of WV is scheduled for Tuesday, November 6, 2018 beginning at 5:30 p.m. at the St. George’s Cathedral on Court & Lee Streets in Charleston, WV. Joey talked about some of the many sports items. Something for everybody: Tickets, Signed Jerseys, Signed Baseballs, Signed Footballs, Posters, WVU stuff, Kentucky stuff, Signed Basketballs, Signed Shoes, and Lifestyles items as well. Click here to view the items. Dinner served by Chic-fil-A of Town Center Mall. Only $5 for admission. Please support this ministry. Call 304-344-9005 for more information. We also interviewed Megan Cutlip, Executive Director of Childhood Language Center. She discuss their purpose and mission. The Childhood Language Center is a non-profit 501(c)(3) organization whose mission is to help children communicate and succeed by providing high quality therapy services that involve the family. The CLC currently provides therapy to more than 92 children. Their children come from Boone, Clay, Jackson, Kanahwa, Mason, Mingo, Putnam, Raleigh, and Roane counties. The Center’s therapists are trained to work with children who have speech and language delays, hearing impairments, Down Syndrome, autism, apraxia, cerebral palsy, traumatic brain injury and cleft lip or palate. Each child receives one-on-one therapy with a skilled therapist on a weekly basis, in addition to regular group therapy outings that integrate the family. 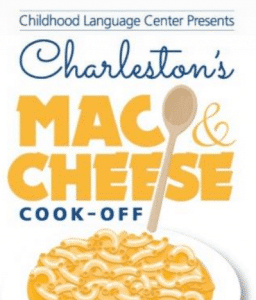 To help fund their mission, Megan talked about their Annual Mac n Cheese Cookoff Event scheduled for Saturday, November 3, 2018 from 11-2:00 p.m at the Charleston Capitol Market. Vendor compete for you vote, as you taste various mac n cheeses. Music, Mac n Cheese, Drinks, Fellowship and helping children; what a wonderful combination. Call the center with questions: 304-342-7852.